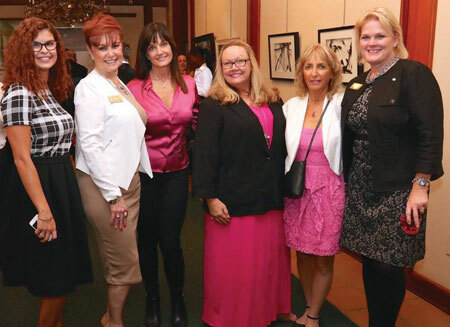 In the days leading up to the ChamberSOUTH Art Festival, chamber trustees and guests enjoyed a special poster unveiling hosted at The Wirtz Gallery in the First National Bank of South Miami. 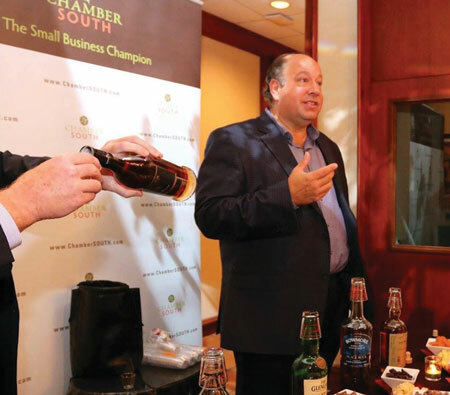 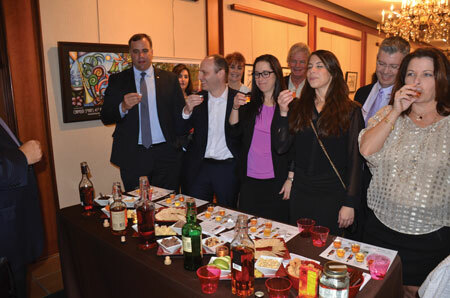 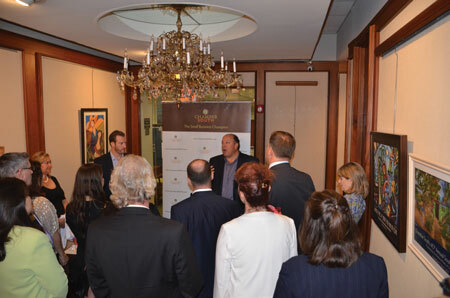 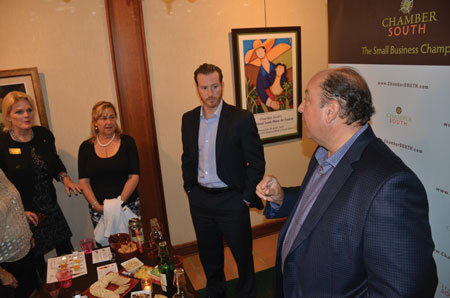 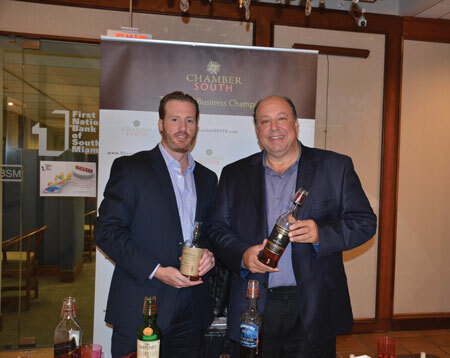 Attendees were treated to a Whiskey Tasting lead by chamber members Dennis Deblois and Marcello Zinn. 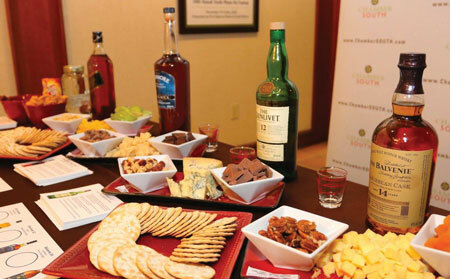 Six whiskies and food pairing were tasted, from White Lightening to the Port Caske Finish Glenmorangie Quinta Ruban. 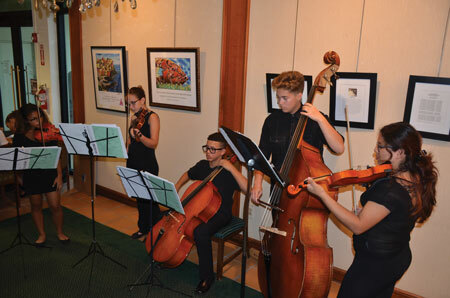 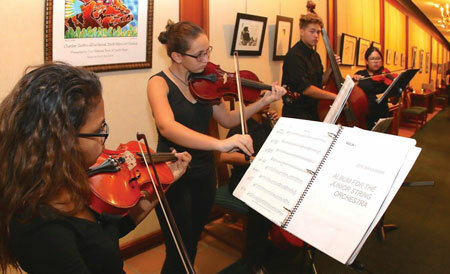 Guests also enjoyed musical selections by a South Miami Senior High School Quintet and food catered by Town Kitchen & Bar. 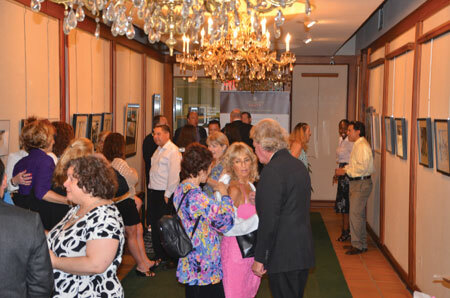 The culmination was the unveiling of the 2015 art festival poster “Mangos” by artist Eileen Seitz who signed the first copies at the event. 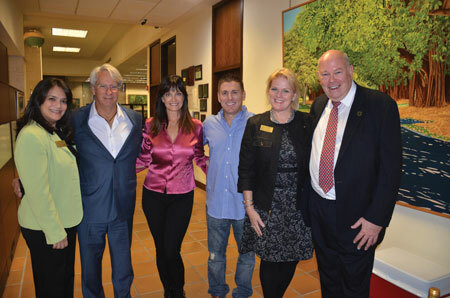 Pictured are: Claudia A. Cancio, Chamber Chair, South Miami City Manager Stephen Alexander, Chamber President Mary Scott Russell, South Miami City Commissioner Josh Leibman, FNBSM Executive Vice President Veronica Flores and bank chairman Bruce Wirtz MacArthur.